Can't see any mention of this, perhaps me just being blind? Not too sure if even "sold as seen" overrides a "should be as described", but that would most probably be a long winded and unpredictable battle. Last edited by LisaW; 2nd Nov 2010 7:13am. I think one main point is, Is the seller a dealer ? If it can be argued that the seller was for all intense and purposes doing this as a trade then he is bound by the same rules as any other trader. Having done a little digging myself I recon I could succesfully argue that on the weight of probability he is a trader having found a number of adverts on the internet (some very recent ones). The car may have been running all well and good, and the HG went on the way home. As already mentioned, when the failure occured, and if the seller knew about it will be very hard indeed to prove. On Private sales its always a good idea to take the car for a good long test drive, with mixed driving and roads - Id say 30-60mins, that way if there is an issue with the car, you can just walk away. 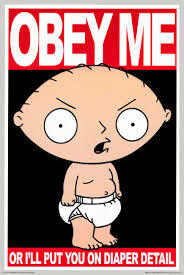 You dont need quite as much caution with a trader as you have more rights and comeback should something go wrong. The "as described" statement probably overrides the awareness in respect that if the seller makes a voluntary statement of condition then it is up to the seller to ensure to make sure his statement is true, the seller couldn't make a statement and then plead ignorance of the validity of that statement. Thank you all for giving us your thoughts, I honestly believe I was knowingly ripped off and now intend on pursuing this person to the full. Nope I've been advised & shown what direction I should go along, I don't want to show my hand just yet but was hoping a certain member would do the right thing. If anything has been removed from the original advert perhaps whoever removed it should explain why, it would at least stop any accusations that may come about, like closing ranks. If we put aside whether the seller knew there was a problem with the car or not, the decent thing to be done here is to refund the buyer in full, selling a car that develops a problem overnight and then wiping ones hands of the problem is only the actions of a conman and not the actions of a fair minded person. Hiding behind bought as seen would only confirm to most as a dodgy deal or dealer, no decent or fair minded person would indulge in such activity. A decent person who thought they were carrying out a fair and honest transaction would apologize and return the money. Just been on to them. 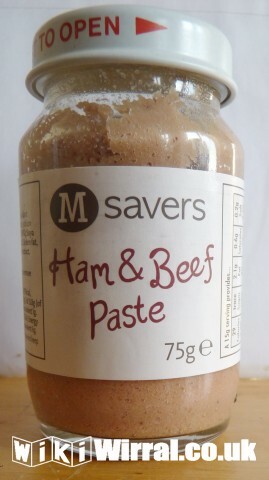 Yesterday I was in Morrison's and saw a little jar of Ham and Beef spread which I thought I'd try. It's actually not very good, but the point is, I think it contravenes the Sale of Goods Act. Attached are pictures of the main label and the "small print". 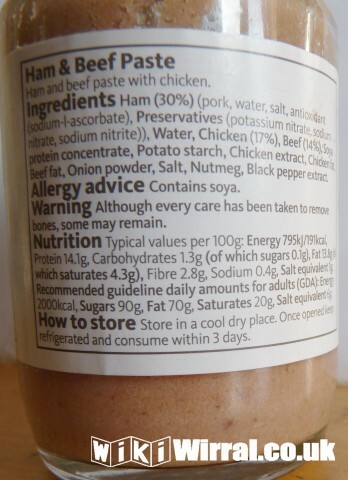 My complaint, with which the chap at Consumerdirect agreed, is that there's no mention on the front of the label of "chicken" but in the list of ingredients there's more chicken (17%) than beef (14%). I think this is deception, and I've told Morrison's head office so. Have you ever looked at the ingredients of a tin of hot dogs? Lots of mechanically reclaimed chicken, if you compare the low cost tins of hot dogs to the high cost tins, there is very little difference in the content of mechanically reclaimed chicken. If in doubt, ask Billy. What about "the Misrepresentation Act" it applies to any form fo contract based on misrepresentation,private Sale or not.